It seems like Wynonna Earp is the place to be. 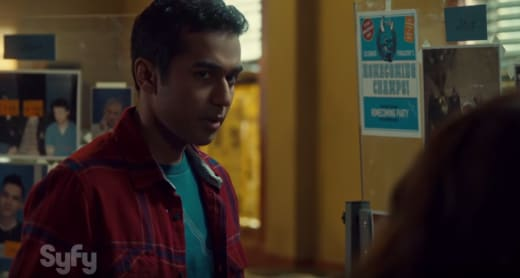 Both Varun Saranga who plays newcomer Jeremy and Shamier Anderson who plays Agent Dolls tell reporters how much fun they have on set. Saranga says that everyone is always laughing and it's a great place to be. This is the largest role the actor has had to date and he admits he was a "scared" to come on board, but also super excited. He said everyone was very welcoming, even the fandom. Both actors talked about the relationship everyone on the show has with the fans and how they believe their fandom is unlike anything else in television. "It's so flattering that you all love us so much," Anderson said. Anderson also talked about how playing Dolls is "second nature" and about Dolls' relationship with Wynonna. Click on the video below to see the entire chat. If you haven't seen Wynonna Earp or need to catch up, you can watch Wynonna Earp online right here via TV Fanatic.